Of all of the art forms, music may be the most universal. While MP3s and records are perfect for at-home entertainment, nothing compares to live performances. 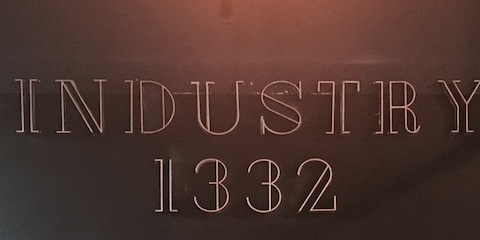 Industry 1332, a restaurant located in Brooklyn, NY, aims to connect customers with tasty Latin American cuisine and live music. Their karaoke and musical entertainment events offer a lively setting that’s sure to fill your stomach and your appetite for music. Boost Your Mood: Music has the tendency of drawing out emotions. The lyrics, melody, and stage presence of artists and bands can affect the entire mood of the room. Live music does all that and more, as audience members also feel the vibrations of instruments, resulting in a positive, high-energy environment that’s electrifying for everyone involved. Encourage Fun: Upbeat music along with the visual element of live performances make audience members want to hit the dance floor or sing along to familiar songs. With nightly happy hours, Industry 1332 provides an enjoyable atmosphere where groups of friends can gather to listen to music and have a good time. Create A Community: Nothing brings people together like music. No matter the genre, live music has the power to unite groups of people through powerful lyrics and emotional melodies. It also provides a way for members of the audience to bond and form friendships through their shared interest. Enjoy the benefits of live music at Industry 1332. This hip Brooklyn restaurant hosts a variety of live music events for their customers to enjoy alongside their delicious Latin American cuisine. Find their next scheduled event on their entertainment calendar. For more information about their restaurant or to make a reservation, call (718) 484-8338.